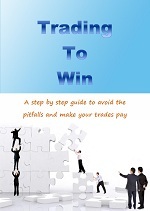 There are a whole host of simple day trading strategies that can be used to successfully day trade. What is day trading? Day trading is the act of buying and selling a financial instrument within the same day, or even multiple times over the course of a day. 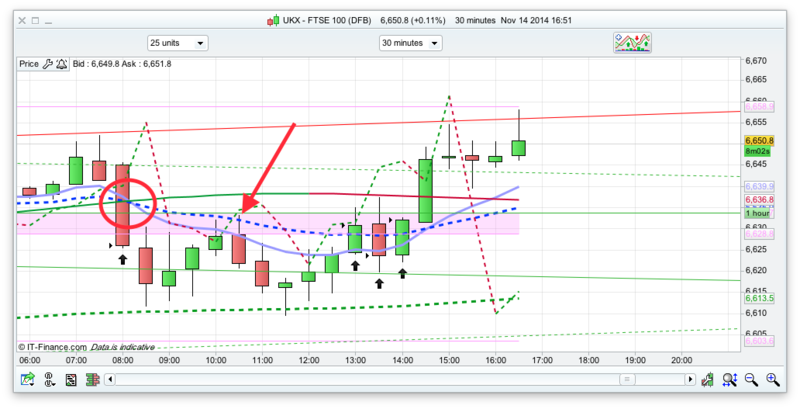 So for example, betting on intra daily price movements of the FTSE 100. You can day trade on pretty much anything, including individual shares, commodities, forex and other global indices. 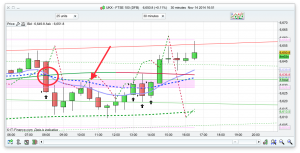 They identify intra-day trading strategies that are tried, tested. They are 100% disciplined in executing those strategies. They stick to a strict money management rules. I use several different day trading strategies myself, but a simple day trading strategy to get started with involves using the 10 and 25 exponential moving averages on the 30minute time frame. You can use this on the FTSE but it works just as well on other markets such as the ASX200, S&P, Dax and Dow. When 10 crosses the 25 you get the alert for the trade and then look to enter when the price touches the 25EMA. If the 10 comes up through the 25 then you are looking for long; if the 10 drops down through the 25 you are looking to go short. By using a fast and a slow moving average with the strategy you are aiming to remove the whipsaw price action and enter into confirmed trades. This strategy is over and above simple support and resistance trading and is better for one where you are watching the price action itself. The video below explains it in more detail. This is just one of the many day trading strategies that I use. By joining my service then you get exposure to a whole raft of different strategies, as well as access to me and the other members in the live trading room.